It’s February and all I want to wear is RED! I love this month because duh….Valentine’s day! As you know from my most previous post about my PUG wish list, Vday is one of my favorite holidays. I’m the girl who goes to the dollar store and feels the need to stuff my cart with Valentine’s day decorations and candy all for myself. I want all the heart things haha. 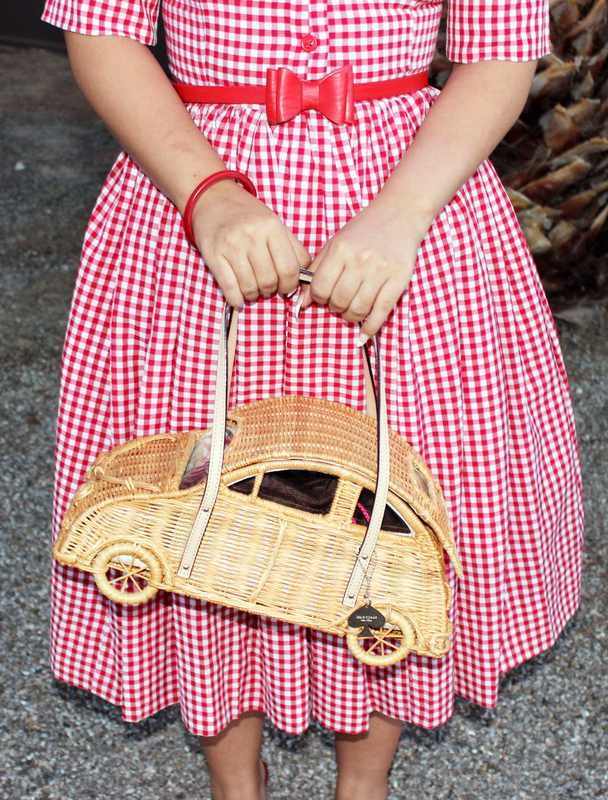 Anyway, in light of my favorite holiday, a few days ago I went to lunch with my girl Rihannon and wore a really cute red gingham dress I bought at The Attic here in Vegas. I bought it months ago but have been waiting for February to wear it because I am a weirdo haha. 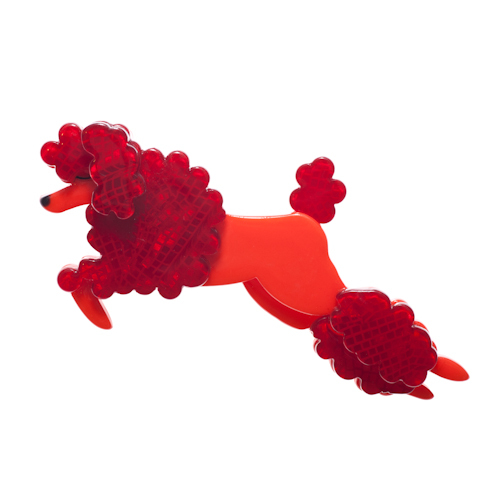 It actually ended up working out that I waited this long because I just got my hands on the coolest poodle brooch called “lady the leaping poodle” from a new company called Erstwilder! I purchased a bunch of really cool brooches from them for Pinup Girl Clothing so stay tuned. This Erstwilder prancing poodle brooch was the perfect finishing touch to one of my favorite outfits of the year thus far but I can’t leave out the others like my Tatyana red bow belt, Kate Spade wicker buggy purse, my vintage confetti lucite earrings, and my new Vivienne Westwood mules. Man, this was such a great outfit and I almost wore it without taking any photos at all! Luckily we snapped a few shots in my backyard just before the sun went down. I know these aren’t the best quality but I couldn’t pass up the opportunity to document such a cute get-up! Off to the picnic! I absolutely adore this dress! ← My Valentine’s day PUG wish list! Oh dear! I can’t explain how much I like this outfit! You’re inspiring me girl! I’ve never worn gingham I my life, but I need to start now!!! You look so classy, love it! !